'The Voice Kids' and 'The Voice of the Philippines' Season 2 auditions are something to look forward to in the coming New Year 2014. ABS-CBN will be holding auditions this January and February for the 2nd season of 'The Voice of the Philippines' and for its first 'The Voice Kids'. An audition was already held for 'The Voice Kids' last December 1 at the Resorts World Manila, and this January, more auditions dates have been announced. 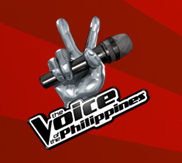 The Voice of the Philippines 2 audition is open to all singers age 16 and above. Those age 15 have been left out as they can't audition in both editions.